New parents in County Durham can get tips and advice on bringing up baby via their mobile phone, thanks to a free app. Baby Buddy features daily facts, videos and useful information aimed specifically at the individual user. Parents and parents-to-be can also use it to keep track of medical appointments, locate nearby services and even create a time lapse video of their growing bump and baby. It is hoped that encouraging people to use the app will create better informed and more confident parents, which should, in turn, improve breastfeeding rates and increase the number of parents who attend ante and postnatal medical appointments. Cllr Lucy Hovvels MBE, Cabinet member for adult and health services, said: “The impact of providing support, information and guidance to families so early in a child’s life cannot be underestimated and is critical to their health and wellbeing as they grow and develop. “Although its content will be useful for all new parents, it is hoped that Baby Buddy will particularly to those parents who are less likely to ask for support or guidance, giving us a unique chance to engage with them. 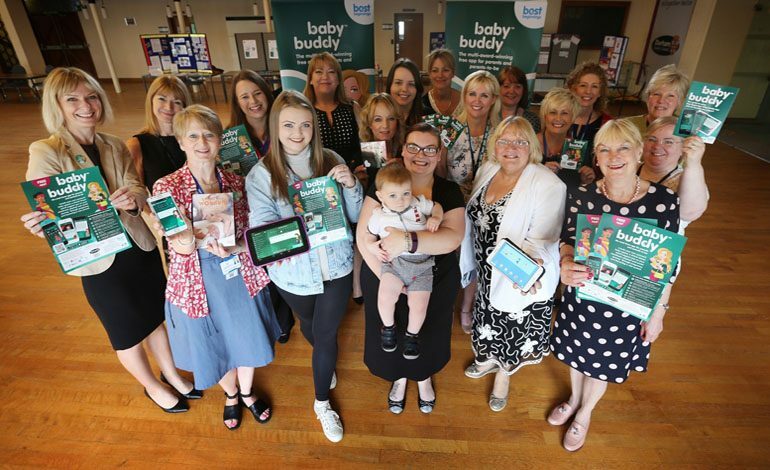 Allison Metters, County Durham and Darlington NHS Foundation Trust matron for community midwifery, said: “The Baby Buddy app is a wonderful way to give expectant and new mothers information at their fingertips, via their mobile phones. Baby Buddy users can use the app to create their own avatar, set goals and record their thoughts and feelings.